Hollywood has lost many films that could never see the light of day again. Some have just been misplaced, and some have been lost to vault fires and neglect. But every once in a while, when a blue moon is in the sky, and the stars align just right, a “lost” film is found like 1922’s Nosferatu. It had one print survive after all others were destroyed over copyright issues with the widow of Bram Stoker. But many others stay lost like the Lon Chaney Sr. vampire mystery horror film, London After Midnight. 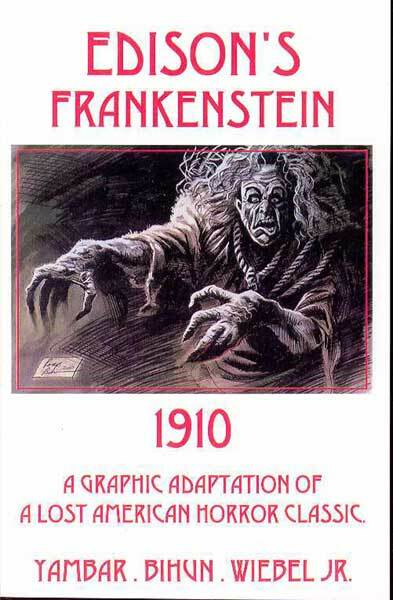 One film that has been found by a private collector named Alois F. Dettlaff when he bought it from his mother-in-law in the 1950’s and later in the 1970’s was made known, is the 1910 version of Frankenstein made by Edison Studios. This “lost” film was like a Holy Grail for fans of the classic monsters, and many people wanted to see just what the first Frankenstein film was like, and with some film stills being around before the film was found, this just fueled the fire of fans wanting to get their hands on a copy to watch. The look of the Monster is not what most think of when the monster pops in your head. He has no bolts from his neck, no black suit and no flat top head. Instead we have a Monster with wild hair, a crunched up creepy face, and he wears rags. Plus finding out that this 1910 Monster’s origin has him made in a vat of chemicals, not lightning, changes the image and style that we all grew up with. 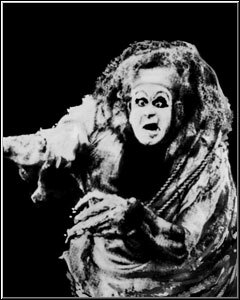 The first time I ever saw this version of the Monster was in the CrestWood House Monster Series Frankenstein book, and I was transfixed by the strange look of the Monster and how his hair almost made him look beast like. I always wanted to see the film to see just how the Monster acted and so that I could compare him to the classic Universal version. 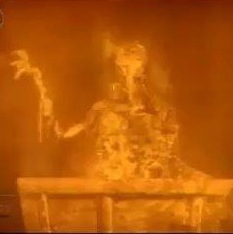 Below are some pictures of the Monster from the 1910 film. I would like for you to take a moment and just look at this creepy guy, and pretend that you first saw this film in 1910 when it was made. I want you to ask yourself, would you have been scared to sleep that night? As I said, the Monster himself was a odd looking creature and looked like a misshaped beast with a sinister look in his eyes and a twisted snarl for a smile. 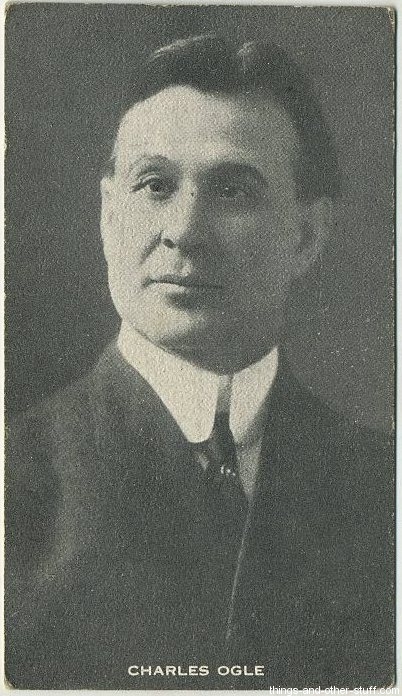 The actor who played this part was Charles Ogle, a character actor who went on to be in over 300 films of the silent era and played such characters as Long John Silver (Treasure Island, 1920), Bob Cratchit (A Christmas Carol in 1910) and a doctor in the 1923 version of The Ten Commandments. 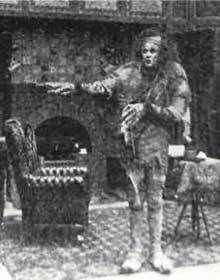 In the version of Treasure Island, he got to work alongside the master of silent film Lon Chaney Sr. This is a cool thing when you break down what both had done for the world of horror! 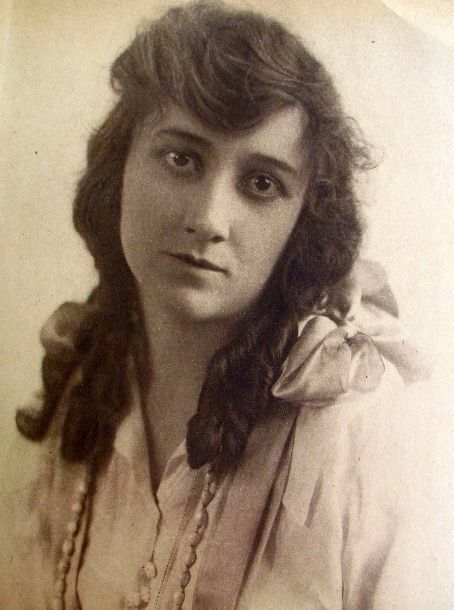 Ogle worked in films from 1910 to 1926 and sadly passed away in 1940 from arteriosclerosis at the age of 75. While he is not as well known as Boris Karloff and while his version of Frankenstein’s Monster is not as iconic, it still remains that Charles Ogle was one of the first actors to play the part and scared the life out of those who saw the film at the time. So here is to you, Charles Ogle, for being one of film’s first actors of fright! Oh I should also say that he is an Ohio boy like myself as he was born in Steubenville. The part of Elizabeth was played by the lovely Mary Fuller who was a stage actress and a very popular one at that. 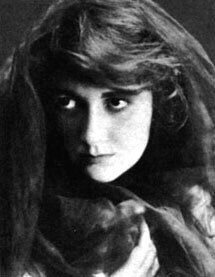 Her first major film role came in the 1910 Frankenstein film that helped launch her career as an actress and later as a screen writer. For a time she was one of the most popular silent film actresses just behind Mary Pickford, but her ride came to an end in 1917 when her last couple of films did not bring in the money the studios wanted. She became a free agent when her studio contract expired. She was offered stage work again on Broadway but turned it down and disappeared from the public eye for almost a decade. After her film career had ended and her attempt at a relationship with an opera singer (who was already married), she had a nervous breakdown and spent time trying to get better and get her life back on track. 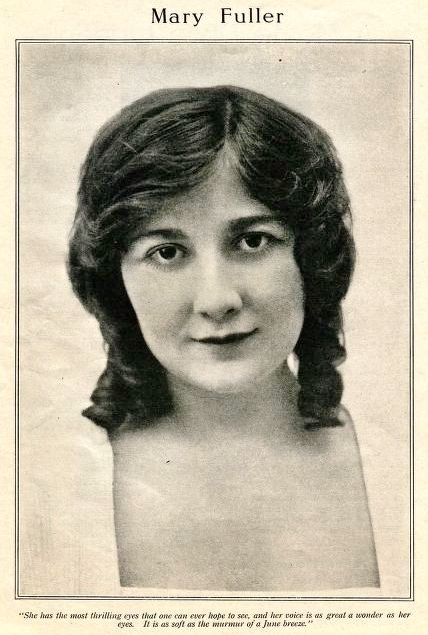 In 1926 she tried to make a comeback in Hollywood, and it was a failed attempt. She felt alone and always felt as if she had a void that could not be filled. When her mother passed away in 1940, she suffered her second breakdown that had her sister having to watch over her until 1947 when she was taken to St. Elizabeth Hospital, a psychiatric hospital in Washington were she would remain for 25 years until her death in 1973 at the age of 85. Her sad tale doesn’t end there. On her passing, no relatives could be found, and she was buried in an unmarked grave at a local cemetery. Mary Fuller was a talented actress with a sad and tragic life, but her work in films will live on and keep her memory alive. This update is for you, Mary, may you rest in peace and find happiness you were looking for. With a film of this age, merchandise was not even thought of. No one in 1910 walked around with their Frankenstein t-shirt carrying a Frankenstein mug filled with hot coco thinking about going home and playing their Frankenstein video game…it just didn’t happen. But over time, with the film gaining a cult status and having the “lost” film mystique, merchandise was unavoidable! Masks, models and shirts were made as well as toys! 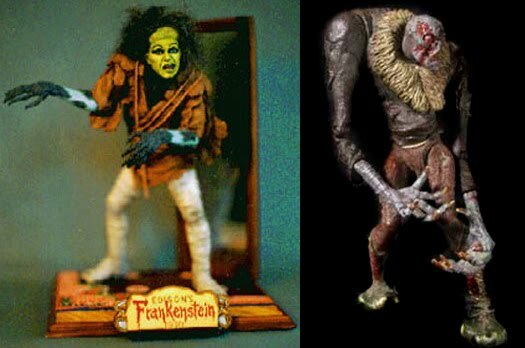 One of the toys that was found everywhere for awhile was made by Mezco as part of their Silent Screamers line, and while a cool figure, it looked NOTHING like Ogle as the Monster. 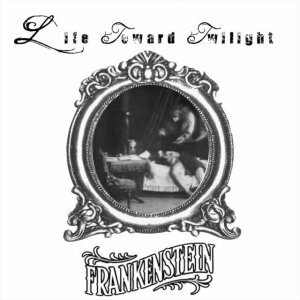 Another cool item that has sprung up is the film’s soundtrack done by Life Toward Twilight. It’s a very well done score with just the right amount of mood and brood to chill one’s bones. So if you’re a fan, there is stuff out there for you to buy and enjoy. My brother was attending Sinclair, a local Ohio community college, and was taking a class alongside my friend Josh Weinberg about the History of Horror Films. The early horror film class was taught by Rick Martin, owner of RMM Agency and manager of Horror Host Dr. Creep, while the modern classes were taught by Andy Copp, a local film and TV director. While in Rick’s class, Bryan and Josh were able to see the 1910 Frankenstein as Rick showed it to his class as a part of horror history. I was so jealous when I heard this and so wanted to see it! Flash forward some years later to when I was working a table with Andy Copp at Cinema Wasteland, a Horror Convention in Strongsville, Ohio near Cleveland. All over the convention show room were flyers for the official DVD release of the Edison Frankenstein film. 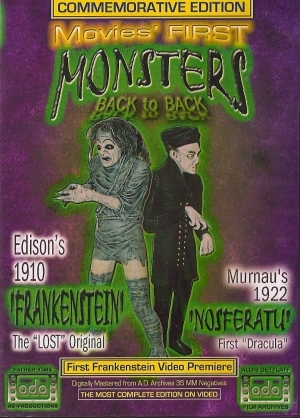 It was paired with the 1922 film Nosferatu and called “Movies First Monsters: Back to Back,” and the dvd was $20.00. I rushed to the booth that was said to have had it, and to my shock and horror, it was sold out. The DVD was so in demand that it was gone the first day of sales. I was so bummed, and Andy tried to keep my spirits up saying that we would be back next year and that I could try and get one then. While his words were wise and true, I still went home DVDless. By the next Cinema Wasteland, I rushed to the booth and got a copy the first day and felt like I was on top of the world. When I got home, the 16 minute film was the first thing I watched and I loved it. In fact, I rushed and did a review for Bloodline Video and gave it 5 out of 5 stars on the site! This is one of those films that makes you truly glad that some private collector found it and released it so the masses can enjoy a piece of horror film history. If you have not seen it and are a film buff and a horror film fan, then do yourself a favor and watch it. The people behind the ownership of this film had an amazing idea when they turned the 16 minute film into a 40 page comic book that holds the thrills and chills of the movie. Remember I grade these comics on a standard 1-4 star rating and am looking at how well the comic keeps to the source material, its entertainment value, and its art and story. 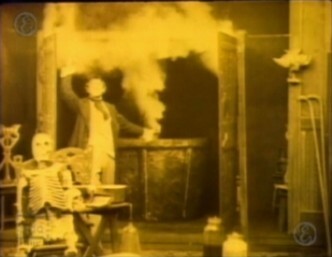 So let’s get the chemical vat ready and build ourselves a comic review of Edison’s Frankenstein 1910. Frankenstein is sitting in his study writing in his journal to his future children so that they can learn from his mistake. You see, in his youth he wanted to learn the secrets of life and death and while away at medical school he grows tired of what he thinks is just close minded teaching and decides to drop out and conduct his own experiment to create the perfect human. In his quest to make a man, he takes elements from science, black magic, alchemy and even his own flesh and blood and mixes them in a chemical vat and watches in horror as his man comes to life. But instead of a perfect man, he has made a monster, a twisted foul thing that looks straight from the pits of hell! The Monster’s sight tormented Frankenstein who was set to be married to his true love Elizabeth. Even this joy is being taken away as The Monster wants his soon to be wife for his own. When Frankenstein refuses and lies to The Monster, it goes in a rage and attacks its creator! The only thing that saves him is when the Monster gets a look at himself in the mirror and its own sight saddens it and causes him to flee into the night. The Monster returns on Frankenstein’s wedding night and attacks his bride Elizabeth. This causes a huge fight between the Monster and its creator that leaves The Monster trapped inside a mirror and Frankenstein begging for forgiveness from God, his wife and The Monster! In the end Frankenstein lives happily with his wife, and The Monster is nothing now but a terrible memory. This comic is pretty much just a more detailed version of the film and is what a comic adaptation should be! The film is told via the words of Frankenstein’s diary and this helps preserve the silent film feel and helps add to the raw emotion of his horrific experience. Victor Frankenstein is a likable guy in this comic, and while at one point his ego to create man takes over his soul, it’s the fact he knows he did wrong and wants to fix it when he see’s the terrible monster he has made. 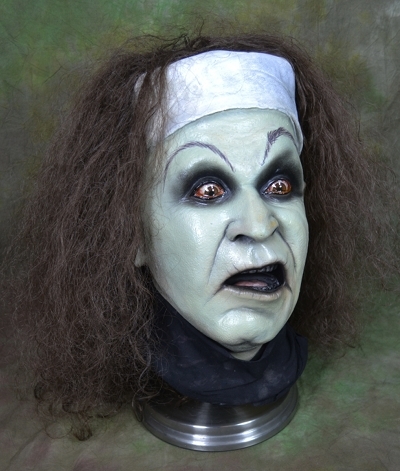 The Monster is a mean spirited evil twisted person who loves to frighten and push around Frankenstein because he can. The fact that The Monster wants to take and do foul things to Frankenstein’s wife shows just how untrustworthy this “man” is. The symbolism of the Monster being trapped in the mirror, and Victor looking at his own reflection and seeing the Monster is a nice way to show that we all have a monster in us and only when we take notice of this will we learn to control it. The comic is 40 pages long, and the rest of the issue is filled with some bios of those involved in making the film as well as the comic. The art of Robb Bihun is simply amazing and his drawings of The Monster are top notch horror comic stuff. 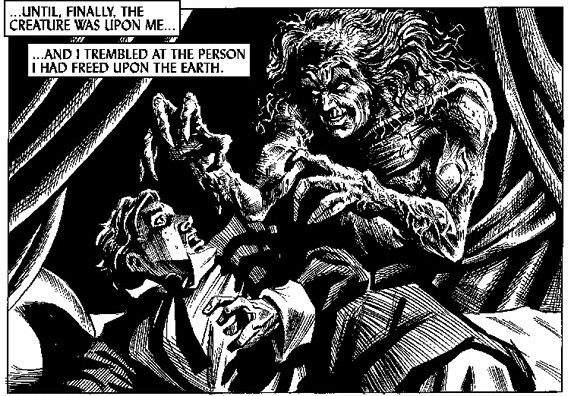 In fact, his style reminds me slightly of the artwork of Bernie Wrightson who did top notch Frankenstein art in 1983. This is a great read, and I would recommend it to those who love Frankenstein and his Monster. I would also suggest giving it a read while you listen to the score done by Life Toward Twilight! I have loved the story and films based on The Frankenstein Monster for as long as I can remember and reading this well made comic was one of the highlights of doing this blog so far. That is why the next update is going to be another A-Lister as I take a look at the one and only Return Of The Werewolf two issue comic series based on the Paul Naschy werewolf films! You long time readers will remember that I talked about this comic during the Dark Horse Pumpkinhead comic review, and thanks to some friends, I was able to get my hands on copies and will take a look not only at the comics but also the films that inspired the comic…so be here next update for a howling good time! Until then don’t create a monster and don’t go out in a full moon, and enjoy an episode of your local horror host and read a comic or three!